Current curriculum demands require primary teachers to teach about the Nature of Science; yet, few primary teachers have had opportunity to learn about science as a discipline. Prior schooling and vicarious experiences of science may shape their beliefs about science and, as a result, their science teaching. This qualitative study describes the impact on teacher beliefs about science and science education of a programme where 26 New Zealand primary (elementary) teachers worked fulltime for 6 months alongside scientists, experiencing the nature of work in scientific research institutes. During the 6 months, teachers were supported, through a series of targeted professional development days, to make connections between their experiences working with scientists, the curriculum and the classroom. Data for the study consisted of mid- and end-of-programme written teacher reports and open-ended questionnaires collected at three points, prior to and following 6 months with the science host and after 6 to 12 months back in school. A shift in many teachers’ beliefs was observed after the 6 months of working with scientists in combination with curriculum development days; for many, these changes were sustained 6 to 12 months after returning to school. Beliefs about the aims of science education became more closely aligned with the New Zealand curriculum and its goal of developing science for citizenship. Responses show greater appreciation of the value of scientific ways of thinking, deeper understanding about the nature of scientists’ work and the ways in which science and society influence each other. This research was carried out with ethical approval from the Victoria University of Wellington Human Ethics Committee. In accordance with the “instructions to authors”, we are declaring a potential conflict of interest. Victoria University of Wellington was contracted by the Royal Society of New Zealand to provide the services of Dayle Anderson (first author) to facilitate the professional development days that formed part of the Primary Science Teacher Fellowship programme described in this paper. While this could be seen as a potential conflict of interest or limitation to the research, the research was designed so that participants’ responses were not identifiable by the researchers and the second researcher was not involved in the programme. Why do you think primary school children should learn science? What kinds of things do you think primary school children should learn in science? What are some features of scientific knowledge? What is a science investigation? In what ways does the work of scientists interact with society? Describe one activity that you consider has led to effective science learning in your classroom. your beliefs about the aims and purposes of primary science education? your beliefs about science teaching and learning? Which aspects of the fellowship have been most influential in any changes to your beliefs? science teaching practice in your school? Appendix 2: Examples of categories developed from responses. This table was included initial findings from six months working with scientists which were published in the written proceedings of the ESERA 2013 Conference: Authors (2013). 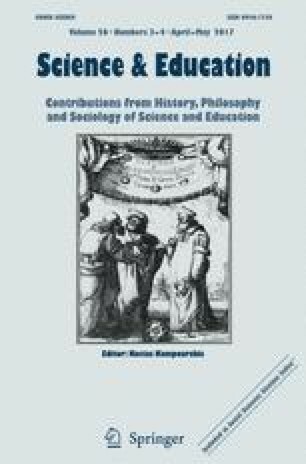 In C. P. Constantinou, N. Papadouris & A. Hadjigeorgiou (Eds. ), E-Book Proceedings of the ESERA 2013 Conference: Science Education Research for Evidence-based Teaching and Coherence in Learning. Nicosia, Cyprus: European Science Education Research Association. ISBN: 978-9963-700-77-6. It is used here with permission. Bolstad, R., & Bull, A. (2013) Strengthening engagements between schools and the science community: Final report. Wellington: Ministry of Education. http://www.nzcer.org.nz/system/files/Strengthening%20engagements%20between%20school%20.pdf. Accessed 28 Oct 2016. Bull, A. (2014). Rethinking professional learning and development in primary science. http://www.nzcer.org.nz/system/files/Rethinking%20professional%20learning%20and%20development%20in%20primary%20science.pdf. Accessed 11 July 2016. Bull, A., Gilbert, J., Barwick, R., Hipkins, R., & Baker, R. (2010). Inspired by science. A paper commissioned by the Royal Society of New Zealand and the Prime Minister’s Chief Science Advisor. http://www.nzcer.org.nz/pdfs/inspired-by-science.pdf. Accessed 27 June 2011. Chamberlain, M., & Caygill, R. (2012). Key findings from New Zealand’s participation in the Progress in International Reading Literacy Study (PIRLS) and Trends in International Mathematics and Science Study (TIMSS) in 2010/11. http://www.educationcounts.govt.nz/__data/assets/pdf_file/0011/114995/Key-Findings-NZ-Participation-in-TIMSS-and-PIRLS-2010-2011.pdf. Accessed 25 March 2013. Education Review Office. (2004). The quality of teaching in years 4 and 8: Science. http://www.ero.govt.nz/National-Reports/Science-in-Years-5-to-8-Capable-and-Competent-Teaching-May-2010/Introduction/The-quality-of-teaching-in-Years-4-and-8-Science-2004 . Accessed 6 June 2010. Education Review Office. (2010). Science in Years 5 to 8: Capable and competent teaching. http://www.ero.govt.nz/National-Reports/Science-in-Years-5-to-8-Capable-and-Competent-Teaching-May-2010/Overview. Accessed 6 June 2010. Education Review Office (2012). Science in the New Zealand Curriculum Years 5 to 8. http://www.ero.govt.nz/National-Reports/Science-in-The-New-Zealand-Curriculum-Years-5-to8-May-2012/. Accessed 13 Dec 2013. Ministry of Education. (2007b). The New Zealand curriculum by achievement objectives. http://nzcurriculum.tki.org.nz/The-New-Zealand-Curriculum/Learning-areas/Science/Achievement-objectives. Accessed 16 May 2017. Rennie, L. (2012). Evaluation of the Scientists in Schools project. http://www.scientistsinschools.edu.au/downloads/SiSEvaluationReport2011-2012.pdf . Accessed 20 Dec 2015. Willcuts, M.H. (2009). Scientist-teacher partnerships as professional development: An action research study. Report prepared for the U.S. Department of Energy under contract DE-AC05-76RL01830. http://science-ed.pnnl.gov/teachers/pdfs/PNNL-18305.pdf. Accessed 23 Dec 2015.